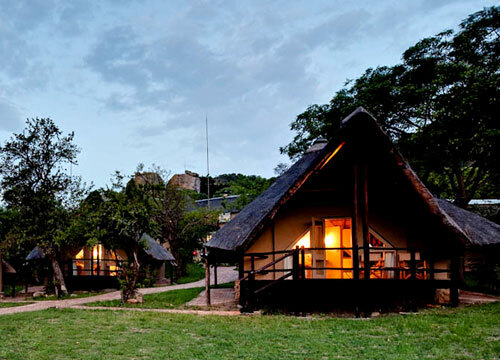 Bongani Mountain Lodge is situated Mthethomusha Game Reserve, (a Big-5 game reserve) on the southern border of the Kruger National Park. 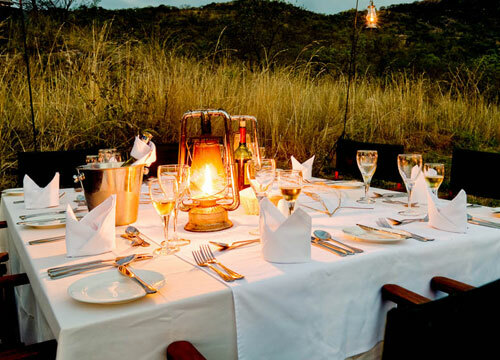 From the moment you are met for your scenic game-drive up the mountain, you will be delighted by hospitality, care and personal attention. 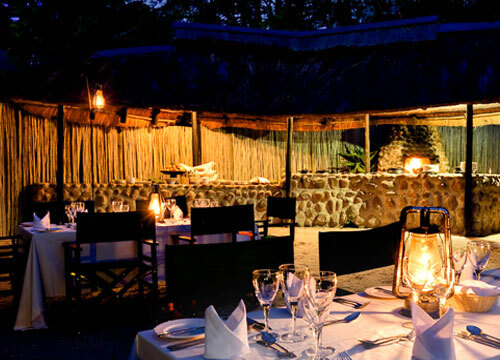 Delicious Pan-African cuisine is enjoyed in the fire-lit, traditional Boma (outdoor dining area) or in the spacious dining room. 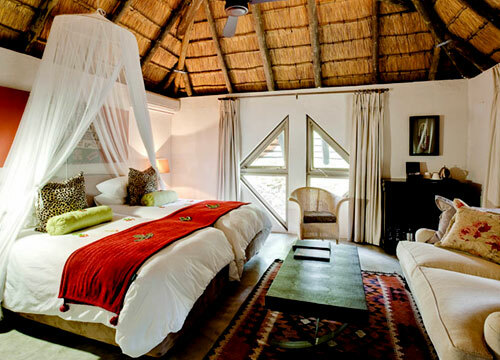 Bongani Mountain Lodge is also renowned for exceptional bush banqueting in surprise settings. The bar, dining and lounge areas offer striking views and are open daily. Children over two years old are welcome at the lodge; however there are some restricted areas. No children under sixteen are permitted at the View Deck and Pool due to safety reasons. No children under the age of sixteen are permitted near the Conference centre due to conferences taking place. Unfortunately no children under 7 are permitted on game drives. However, there are exclusive 'Bumbles' - kiddies game drives available on request to children between the ages of 4 - 6 years. This drive is approximately 1.5 hours long and a parent must be present. There are no fences around the lodge to prevent animals from wandering around at will. Uniformed security guards monitor animal activity around the lodge; however we request that you exercise caution when walking around. The guards are available to walk you to and from your room in the evenings. 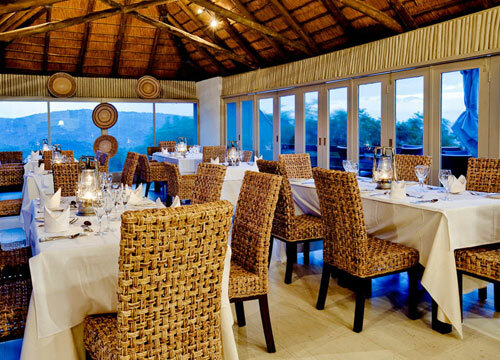 A fully-equipped, air conditioned conference room accommodating up to 60 delegates is also available at the lodge. 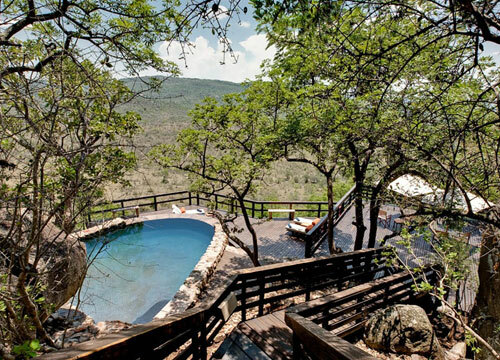 The Deck offers panoramic views and ample breakaway areas and is an inspirational and revitalising destination for productive strategy-sessions, team building, bush adventures and board meetings.